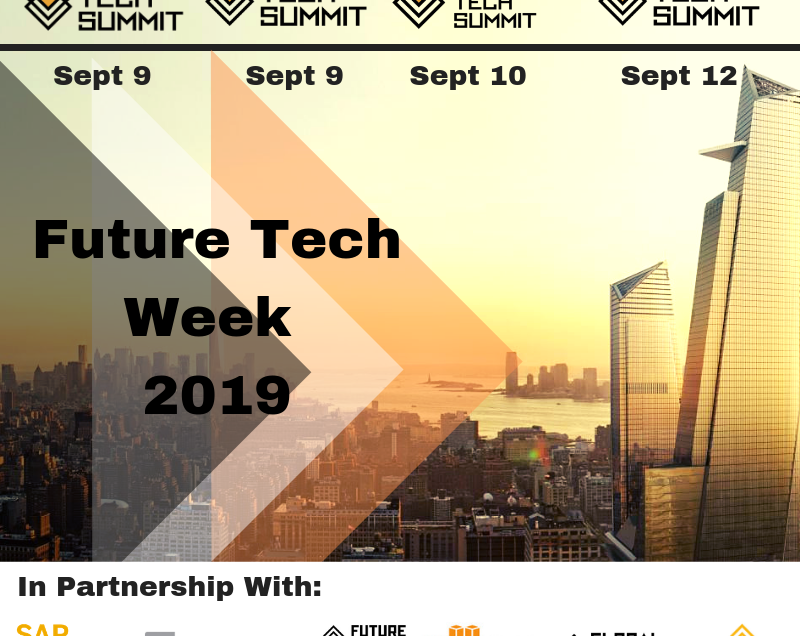 Future Tech Week in partnership with the NYC Economic Development Corporation and SAP Next GEN will be running a series of exponential tech programs to prepare entrepreneurs and corporate executives for the future (FOR FREE). Only 1000 delegates will be accepted to this week long series of workshops, keynotes, panels and networking. Join 1000 global delegates for Future Tech Week on September 2019. About Future Tech Week: The largest gathering of influencers on future technologies in New York City. About SAP Next GEN: is a purpose driven innovation university and community which drives innovation with purpose supporting SAP’s commitment to the 17 UN Global Goals for sustainable development. About Nano Tech Summit: The Nano Tech Summit is the world’s most exclusive event featuring Nano tech investors, entrepreneurs and influencers coming together to address the world’s greatest challenges via nano technology. The summit also serves to teach fundamentals of nanotechnology, leading applications and the future of health. info@meventum.com.